Last week Otis and Greyline released an awesome split 12". 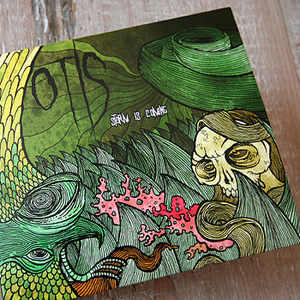 You can download the opening track from the Otis side from one of the links below, as well as the rest of the Otis discography preceding this new record. The download featured right here is their second album "Storm Is Coming" which contains the hit song "Cast The First Stone" and which received raving reviews in the media a while back, comparing the band to Refused, Melvins, Black Flag, Sonic Youth and The Ex. Download all the old crap for free, and buy the new record before it's gone! Limited to only 250 white vinyl copies!